T.S. Krupa was born in New Haven, Connecticut. frequently travels to visit family abroad. only to break her nose playing during her senior year. After college, Krupa traveled cross-country for a job at Texas Tech University. found an instant connection with coaching. began work on her Doctorate of Education from North Carolina State University. 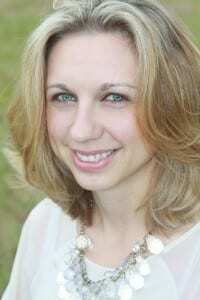 Krupa now lives in North Carolina with her husband and dog, Chase. Chase came into her and her husband’s life after a neighbor found him at a gas station. Krupa’s husband brought him home and told her that he had a surprise and if she wanted to keep it she needed to buy dog food. It was love at first sight and Chase is now spoiled rotten. Along the way T.S. Krupa has always written in journals and enjoyed writing. It was only recently when the stories could no longer just run through her daydreams that she felt the need to put them down on paper. Safe & Sound is her first novel. I write as a way to give my thoughts a rest. I get inspired by ideas, thoughts or characters and then they continuously run through my head taking on a life of their own until I put them down on paper. I usually might sketch an idea on a page with character names, locations, ages etc. If I need to do any research I do it before I sit down to write so that I have a good idea of what I need to say. I don’t like having to go back when I am in the middle of story telling. Then I sit down put in my ear-buds and write. It’s usually just a conscious stream of thoughts. From there I go back and read, edit and tweak the story until I am happy. For me it’s like watching a movie in my head and I am simply the recorder. I can see the places and hear the conversations and I just need to get them down on paper before they change or disappear. Not to be afraid. It starts with the first word you put on a page and grows from there. Everyone’s process is different so find one that works for you and don’t worry about what so-and-so did. It only matters what you do. When I finished the story I let several people close to me read the book and they were excited for me and the story and they encouraged me to publish. I sent out many letters and I heard back from Advantage Media group. It was a wonderful relationship which allowed me to share my story with you. I think this is a great time for publishing. Now more than ever people can share their stories without having a literary agent or publisher. I feel authors have become more accessible through social media and the audience is responding to that and interacting. Authors can now discuss their books in these forums which can help them grow as professionals. BUT I also think there will always be those who prefer to have a book in hand (and maybe a glass of wine in the other) and so there will always be a need for book publishing. However, book publishing is no longer the gate keeper on what books get shared and what doesn’t. Each author is in control of their books’ own destiny.